A reissue of Beekeeping (2007). A practical and inspirational guide to keeping bees and apiaries in both rural and urban areas. It's no shock that the beekeeping trend is steadily on the rise. These fascinating and beautiful insects can be kept anywhere, whether your garden is a large country plot or an urban rooftop terrace. What's more, there's no sting in this tale: bees are a source of delight for honey lovers, hay-fever sufferers and gardeners alike. 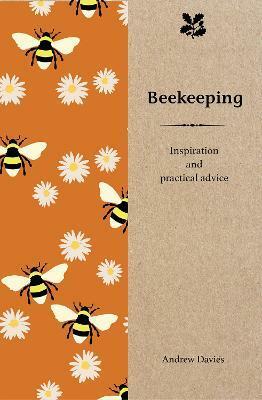 This charming and practical guide is intended for both the beginner and experienced beekeeper. It covers everything from setting up hives and maximising bees in the garden, to optimum honey production and a fascinating troubleshooting section. With charming illustrations throughout, you will find all you need to catch the bee buzz in this wonderful book. Andrew Davies attended Wye College, the former agricultural college of London University and it was through a farming friend that he obtained his first WBC hive in 1991. He continued to keep bees through the 1990s, having as many as four hives in his Surbiton garden. He has attended many courses and seminars on apis mellifera and studied under the grand master of British beekeeping, Ted Hooper.